Corel AfterShot Pro - графический редактор для обработки изображений различных форматов, имеющий весь необходимый набор инструментов чтобы облегчить ваш творческий процесс от получения снимка до его воплощения на вашем мониторе или в фотоальбоме. Программа также легко справляется с RAW-файлами, загруженных с ваших зеркальных фотокамер. Интересной особенностью для ретушеров можно назвать изолированную работу на требуемых участках изображения в множестве слоев. Программа построена так, что для графических улучшений ваших снимков не придется их в нее импортировать. Приложение может показать все элементы в активных папках. Произвести поиск достаточно указанием меток, тегов, некоторых метаданных, ключевых слов. Protect and promote your work with versatile Watermarking features. Deter unauthorized copying, brand your photos with your logo or contact info, or add text and graphics. Apply watermarks to individual photos or batches, and easily adjust size, rotation, position, transparency and more. Now it's easier to tap into the power of presets to automate more of your repetitive processing jobs or quickly reproduce a look that would otherwise be tedious to replicate. The new Image Preset Library lets you browse, preview and download free and for-purchase presets. Lens Correction Development Kit NEW! Make and share your own lens corrections—ideal for photographers working with rare, unique or spanking new glass. Simply follow the instructions, save your correction, then load it into AfterShot Pro 3—or share online. Update to AfterShot Pro 3 for new, sought-after lens corrections that build on the hundreds of lenses already supported by AfterShot to quickly correct the different types of distortion introduced by various lenses. Join the AfterShot Pro community on Facebook to discover when new lens corrections are posted or to share your own. Regain more of the detail and tone from your overexposed photos with enhanced Highlight Recovery. Powered by a new algorithm, this feature lets you access more of the data in your RAW files for superior image quality. Save time and edit faster by doing more touchups and photo corrections in AfterShot Pro 3, rather than jumping to PaintShop Pro or Adobe® Photoshop®. The new Blemish Remover offers circle, brush, polygon and freehand tools for detailed editing, making portrait editing faster and easier. Remove dust, spots, smudges and a variety of imperfections on any photo. See what's new with plugins ENHANCED! Find and install free and for-purchase plugins, and get updates in a flash with AfterShot Pro 3's new Plugin Manager. Or make your own with our unique plugin API—a love of photography, a knowledge of C++ and the updated Plugin SDK are all you need. Share your plugins freely with the AfterShot community, or work with Corel to sell them. We're committed to constantly delivering support for today's most popular, powerful and creative cameras, including professional DSLRs, flexible and high-quality mirrorless cameras, and many more. A new dynamic camera profile updater notifies you when new cameras are added a new feedback mechanism captures and prioritizes your requests with Corel. Get the latest camera profiles sooner—and without patching your software—with dynamic camera updates. Simply browse and download directly from AfterShot Pro 3. Don't see a camera you want? Hit the 'feedback' button and log your request directly to the AfterShot Pro development team. 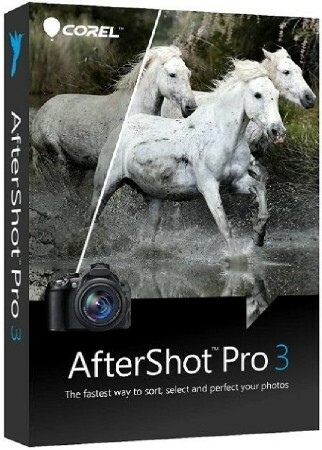 AfterShot Pro wants you! Corel has built AfterShot Pro to give you, the photographer, control, letting you make you own plugins, lens corrections and presets. Now a new feedback loop makes it easier for you to send your ideas and requests to the Corel Photo team--better helping us to meet your needs. Simply click 'feedback' and send us your comments.